Turn Your Physical Activity into a Real World Travel Experience. Taking You Around the Globe to Complete Your Fitness Goals. Active Globe allows students and individuals to select a distance based goal on a real world Google Map. 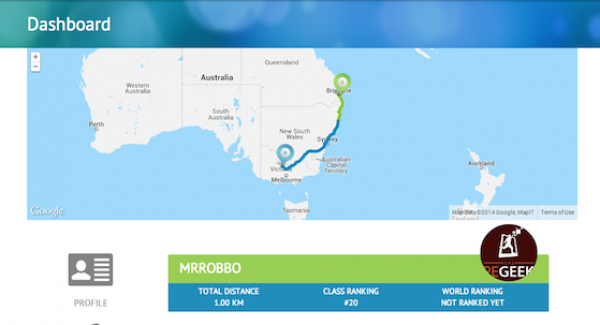 Once they pick the start and end locations, for example Melbourne and Sydney, they get exercising by either walking, running, cycling or swimming. As they complete these activities they log them in their dashboard and watch as they move towards their destination on the real Map. Active Globe is the only service on the planet that turns your physical activity into a real world travel experience. Taking you around the globe to complete your fitness goals. Active Globe is dedicated to helping both adults and young people stay in shape and improve their health and well-being via a truly unique and interactive fitness experience. 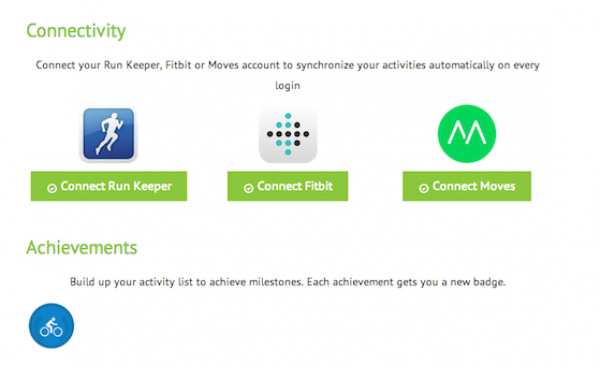 While numerous activity tracking apps exist, none of them enable you to set real world goals and watch as you cumulatively run, swim, cycle & walk between them. Active Globe works to meet the health and fitness needs of students, schools, adults and individuals by providing them with an incentivised fitness experience like no other. Active Globe, although in its infancy, is already working to improve these outcomes with over 15,000 active members throughout the world. Active Globe utilises a fully responsive web based application that enables the user to plan, log and view their activity from any device. 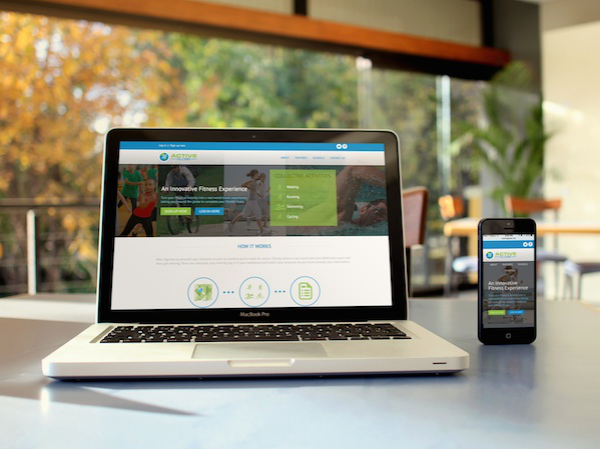 In order to be a truly useable service, responsive design needed to be achieved. 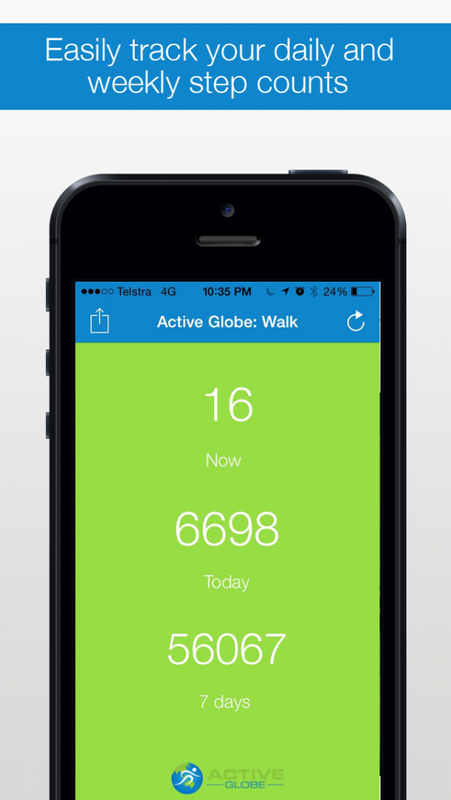 This enables students, individuals and users to easily log activities regardless of their location. Once logged into the dashboard, users can intuitively pick their destination goal on a full screen map. Once this is completed they are ready to start working towards achieving it. After they complete activity they press the Log button and add the distance they completed. They are instantly able to see this progress on the map. Users can make the logging process even easier by connecting to third party distance tracking apps such as RunKeeper, FitBit and Moves; Once connected these apps automatically push distance information to Active Globe. The user can then simply watch their journey progress, with badges and certificates emailed to them as they progress. Being the only service of its kind in the market, the opportunity for schools, individuals and charities to utilise Active Globe for improved physical activity. The project is marketed via Social Media platforms to Teachers & Individuals. It is also shared via various conferences and workshop seminars that I present at around the world. -We will be looking to make connections with organisations that could extend the reach of active globe within other sectors.